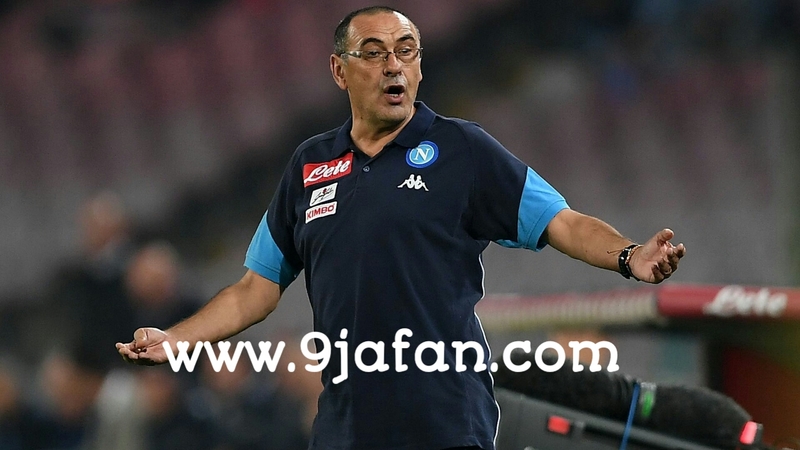 Home / Football News / Chelsea To Make An Offer To Napoli's Sarri. 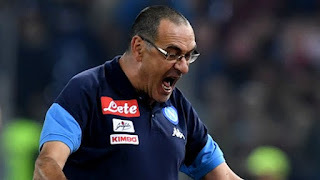 Chelsea are set to turn to Napoli manager Maurizio Sarri as the heir to Antonio Conte at Stamford Bridge. While Conte lifted the Premier League in his first season with Chelsea, he has found the second term a much more difficult prospect, and reports have linked him with AC Milan in recent weeks. 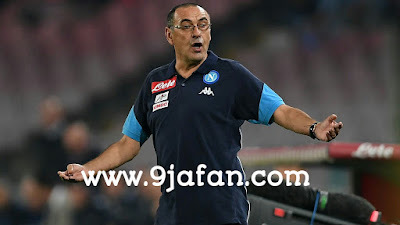 That has led the Blues to offer Sarri an annual salary of €12 million in a bid to tempt him away from the Serie A leaders. 9jafan is Founded and Owned By Adetunji Damilare;. An Electrical and Computer Engineer that has Great Passion and Interest for Technology and Latest Trend. And also loves to help people by sharing his knowledge about latest News Sport, Latest Movies, Gist, Latest Gadget, Data plan, Technology And Latest FreeBrowsing. The main aims of this 9jafan Blog is to keep all The followers and visitors abreast of The latest trends in Technology and telecommunication world, Latest Free Browsing, Cheap Data Subscription, Phone Reviews And Techs Tutorials.